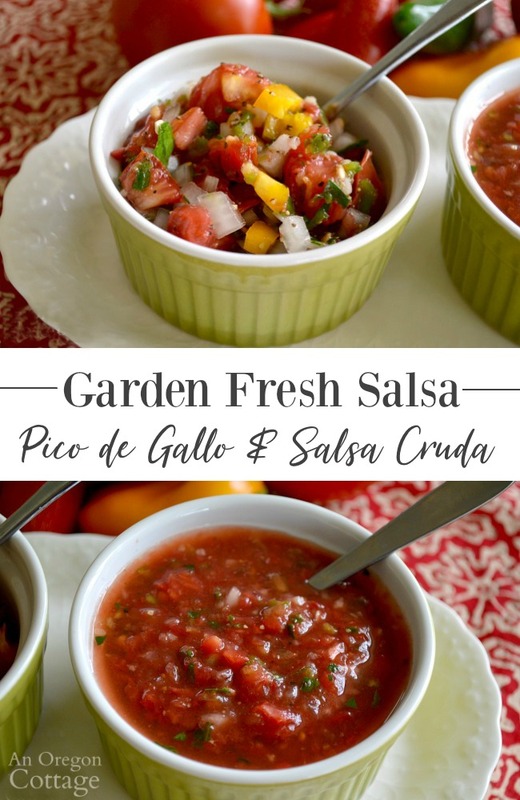 Easy garden fresh salsa recipe that you can make into a smooth, restaurant-style salsa cruda for dipping or a chunky pico de gallo for topping tacos and more. Find more great ideas on the Quick Healthy Recipes page! One of my favorite things about having a garden is being able to make fresh salsa when tomatoes and peppers are in season. A reader asked me recently where my fresh, uncooked, salsa recipe was and I realized I’d never posted this simple – yet super flavorful – recipe. Which, since I make it several times a week during August and September, was quite an oversight! 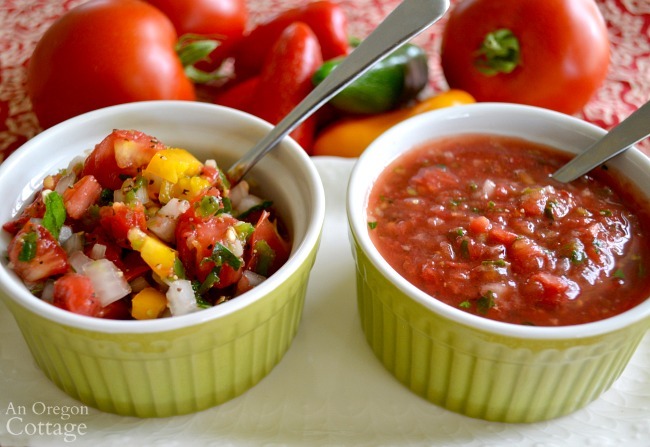 While fresh salsa is a simple recipe – if you’ve got tomatoes, peppers, and onions you’re basically good – there are many variances in flavor additions: garlic, lime, cilantro – or not. There are also texture differences and in our house I like to make two versions of fresh salsa, just like we are served at our favorite Mexican restaurants. This may or may not be because of a certain picky eater who prefers a smooth sauce while others like it nice and chunky (a-hem). In either case, it’s a simple way to please everyone and to have the two styles of salsa available for different applications. 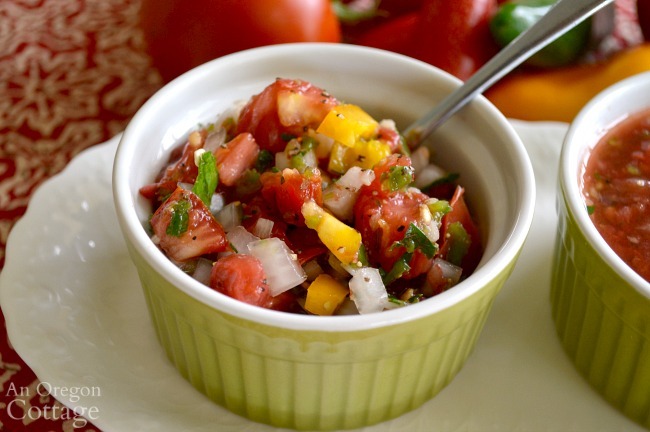 First up is the classic, chunky pico de gallo full of diced tomatoes, peppers, onions and garlic. If you’d like to add other ingredients like corn, black beans, (or sweet bell peppers as I did here), pico de gallo is the version you’ll want to use for those additions. Next is a restaurant-style salsa cruda where the same tomatoes, peppers, onions and garlic have been whirred in a food processor to a much smoother consistency. 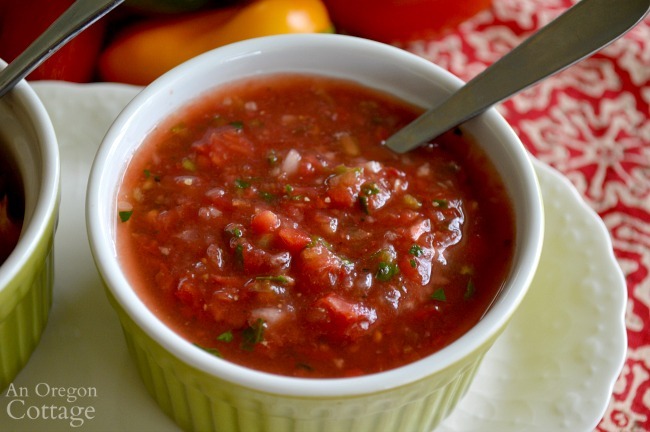 This is the salsa to keep ‘pure’ with only tomatoes, onions, and hot peppers – and spicy if you like it that way. Since we do like ti hot, I always leave the seeds and the membranes of jalapeño peppers before adding to the food processor. 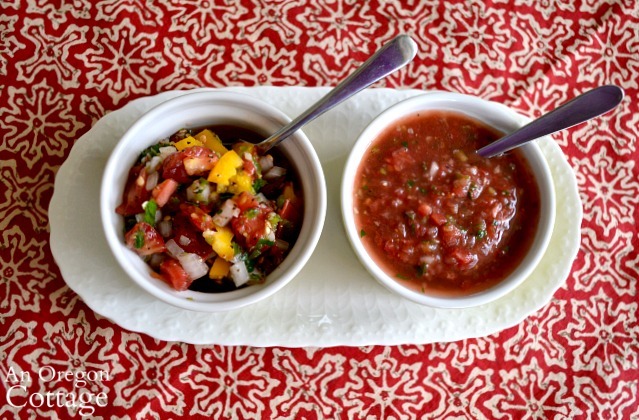 Can you make both these fresh salsa variations at the same time? I will often make both these salsas together because they use almost the same ingredients and it’s easy to do – half the lime for one, the other half for the other, and so on. Here’s where I probably should confess that I’m not a cilantro fan – I think it overtakes the other flavors in salsas most of the time. 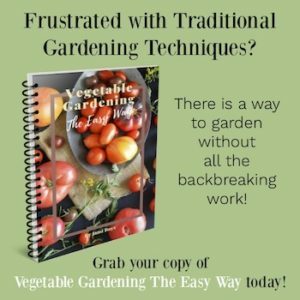 I usually use Italian parsley and I like the fresh flavor it adds that only enhances the other flavors. I don’t mind a bit of cilantro, just not overkill. 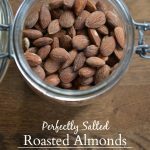 Like always in making your own real food, the choice is yours on how much an ingredient to add or whether to add it at all! While I’ve made versions of these fresh salsas for years, dealing with the large amounts of juice from ripe tomatoes has always been an issue (a little tomato in your liquid, maybe? ), so I added a draining step to the recipe that I adapted after reading about it in Cook’s Country. 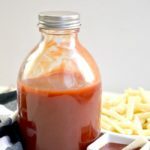 It’s not crucial, so you can choose to skip that step, but it does make using the salsas with finger foods like tacos much easier, since it cuts down on the extra liquid that tends to run down your arm and pool on your plate. Oh, and our favorite way to eat these salsas is with 10 Minute Baked Tortilla Chips to put all the emphasis on those garden fresh flavors – yum! 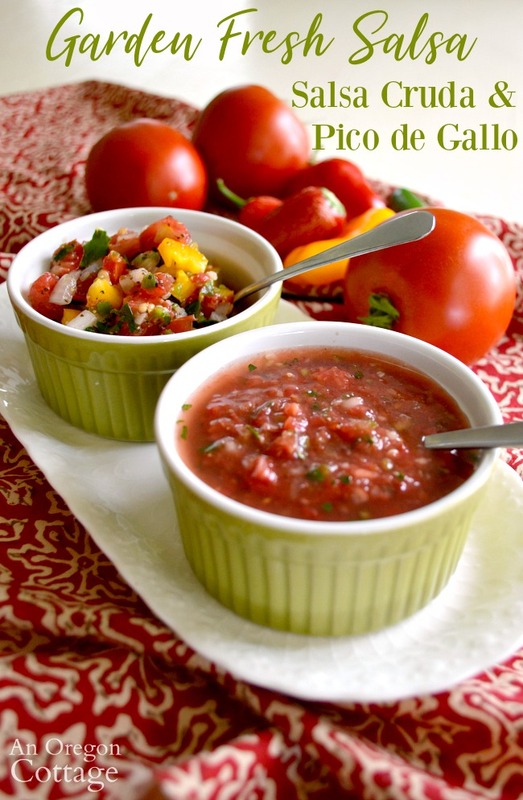 Click the arrow for the full fresh salsa recipe (with print options)! I just made a batch of your salsa….weighed out 3 lbs. of tomatoes and I got a lot more than 2 cups. Now I’m wondering if I did something wrong??? separate during the blending time? I am wondering if I would need to peel the tomatoes. I just found your site. This looks very good. I wonder if you could can it? 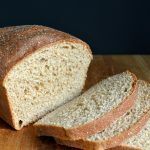 I wished there was a way to submit recipes to a site that would test them for acidity and such and tell you processing times. Your salsas look delicious. I make pico de Gallo all the time. 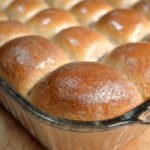 I have a question about the salsa cruda. Whenever I put my ingredients through the food processor they always get so many air bubbles that the salsa turns a pink colour. 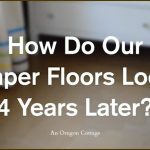 Have you ever had this problem, and if so what do you do about it, and if not how do you avoid it? Hmm, I haven’t really had that happen. I wonder if it’s caused by over-processing? 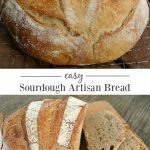 I always whir up the other ingredients first to get them to the size I want, then add the tomatoes as they only need a bit of processing to get to the consistency we like. Not really sure if that’s the issue, but hope it helps! I have noticed air bubbles getting into my salsa cruda when I use a food processor. 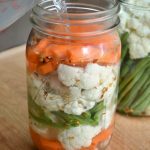 The fix for that is to just let it sit in the refrigerator overnight. I haven’t noticed a problem with that, Troy. Maybe pulse just a few times to lessen the air? It all turned out in the end. Like I said letting it sit overnight removed the air bubbles in the tomatoes. The onion, cilantro, and chilies were chopped by hand and then folded into the chopped tomatoes. I also use grape tomatoes in my salsa, which might also be a factor.